Should I Buy Dedicated IP? Some people believe that to register a domain name is enough to get a unique address on the Internet. However, when someone types in your domain name into the browser, the browser at first convert this domain name into an IP address and only then find your website within the IP. In other words, Internet is more interested in your IP address than in domain name. Thus, your website can be located on the same IP with other sites. What such a neighbourhood can bring no one knows. Sometimes it can be harmful for your business, sometimes you even don’t bother about it for years. Everything depends on the aims and size of your project. Those who want to create really trustworthy and great project that involve a large community, email marketing or collecting of private data for money transactions should consider such option as IP address for sure. The most usual problem occurred with shared IP address is that your neighbours can send spam on regular basis. Spam filters should prevent this and add an IP into blacklist. With your web site on the same IP address you also will be added to this blacklist. It means that any emails you sent will be added to spam section. Of course, in this case you should contact your host. But all these require time. Time to find out that your emails are matched as spam. The time for host to fix the problem. It may cost you too much. Just consider the risks taken and make a crucial decision. With dedicated IP address you have more confidence and control over your project. Dedicated IP address also provides you with Google faster indexing your site. Thus, your chances to develop your business more quickly may be the case. Creating a large brand you also should count on your reputation. Choosing dedicated IP you show how much your business means to you. It proves you to be reliable and secure. Just the other people are looking for. Some people suppose that dedicated IP has no influence on your SEO ranking while others believe that domain names with dedicated IP addresses increase your chances to appear on the first page of search results. The reason is in credibility. Having business in competitive niche you should show that your web site is a place everyone including search engines can trust. Actually, search engines have no feelings, they just put your domain with dedicated IP on the first page. The other reason dedicated IP is better for your Search Engine Optimization (SEO) is to avoid sites that use “black hat” practices to achieve the first rows. Being on the same IP with such sites affects you till a human editor determines a specific site that is an offender. Till then your site as well as all other domains located on the same IP will be neglected by search engines. Sometimes you need a lot of time to gain your reputation and return to the positions achieved. 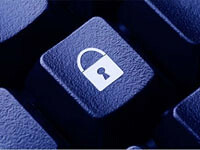 SSL that stands for Secure Sockets Layer is another tool that increase your security. It is a protocol that encrypts all the data submitted by the user to hosting server. Today you can choose shared SSL or private SSL certificate. Let’s try to find out the difference. When your hosting company pays for a private SSL and provides it to all its user, it is called shared SSL. On the whole, there are no serious security risks. Everything about your reputation and customers. If you choose shared SSL, the users might be confused with the name displayed on the SSL certificate. The owner’s name will be the name of the host. Some customers may even think that your page has been hacked. On the other hand, private SSL is expensive. It will be yours only to provide confidence for your potential customers. Such certificate will also improve your rankings with search engines that see that your site is verified by a competent authority. Choosing dedicated IP hosting you can get private SSL as well as anonymous FTP. While a private SSL certificate is definitely the best choice for online store to guarantee secure transaction, an anonymous FTP provides you with better options to share content on the Internet. Thus, if your aim is to develop large and reliable eCommerce site, dedicated IP hosting with secure SSL certificates is a must. Today hosting companies provide you with dedicated IP address that can be obtained in you choose shared hosting, VPS hosting or dedicated hosting plans. Of course, choosing some shared hosting plan you should note that a dedicated IP address will be provided for extra fee if provided at all. Usually, dedicated IP for shared hosting plans is available only for the more advanced packages with unlimited features. However, you should consider all the advantages and drawbacks of shared hosing that will not guarantee you to avoid all the problems occur with your bad neighbourhood. You also can choose hosting plans with several dedicated available with VPS and dedicated server hosting plans. Sometimes you are offered up to 10 dedicated IP addresses per account. Usually, they are already included into your hosting plan cost. However, you should check it beforehand. Such hosting plans are more expensive than shared hosting and provides you with more options to appreciate. Your task is to determine your goals and choose the hosting plan that meets all your requirements including the price. On the whole, there are still different opinions about dedicated IP influencing your SEO rankings. Some people suppose that is is waste of money. Others believe that it helps them to improve business and make more profits. Anyway, dedicated IP address is a must for those who needs secure information and money transactions as well as want to avoid bad neighbourhood and appear to be blocked by spam filters.